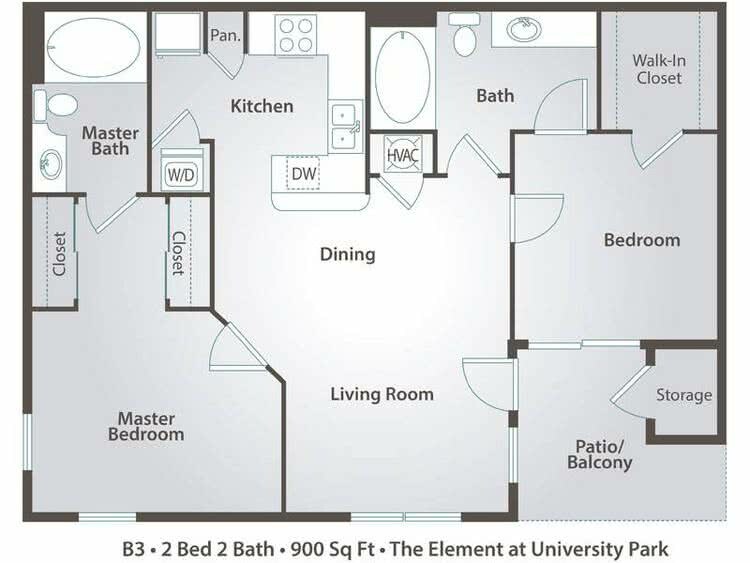 The Oak is our largest floor plan offering the greatest square footage and bedrooms comparable in size. Our spacious and newly renovated two bedroom by-the-bed option allows you all the comfort and luxury of a full size two bedroom with the assurance of being responsible for your own lease! Each bedroom has a private bathroom and extremely large walk-in closet while the common area is spacious and can accommodate everyone's guests.